Last week Twitter announced concrete plans to kill the trolls and stalkers, starting follow through registration of phone number. The social network of microblogging has not hesitated to implement these measures. The goal is to have a more reliable reference in order to control the trolls and stalkers, as these often use multiple accounts, or hide behind the deep web using tools like Tor Browser Bundle. 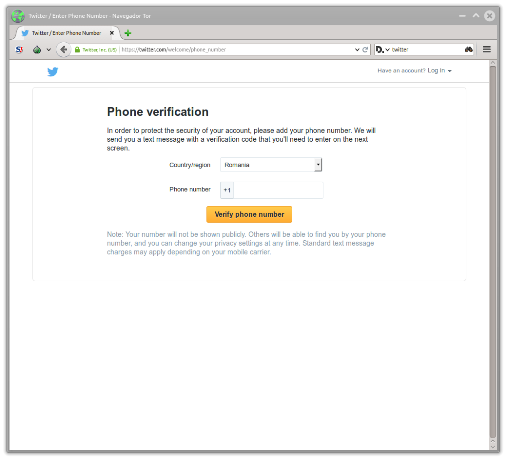 Also now it requires phone number to all those people who create an account on Twitter through the Tor network. However, this measure can be counterproductive, as it calls for identifying information about a person seeking anonymity. While it is true that the Tor network has many bad things and that it trolls and stalkers can be hidden, also there are activists and people who use it with good intentions, because in their countries, access is restricted, as in Turkey, or either because they are active in favor of free speech and rights in a difficult country, such as in the repressive Chinese regime. Offer identifying information such as phone number could jeopardize these people. Did you guess Twitter successful with this measure? Though with good intentions, it seems that the company after the social network has gone from braking limiting both accesses through the Tor network. The phone number is a good idea, imperfect, but in the right direction, that would be requested by the conflict of accounts regardless of the source of their connection.